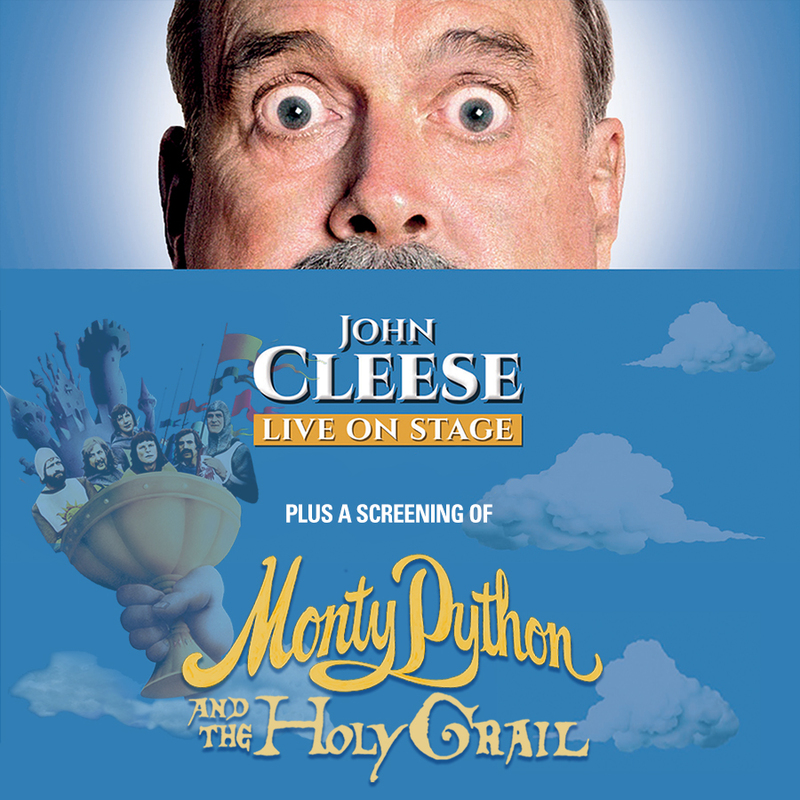 John will be hitting the road again this September, travelling across the U.S.A., to answer questions live on stage following a screening of Monty Python and the Holy Grail. 19 September 2017: State Theatre, Easton, PA. Buy tickets here. 20 September 2017: Capitol Center, Concord, NH. Buy tickets here. 21 September 2017: Flynn Center, Burlington, VT. Buy tickets here. 22 September 2017: Tower Theatre, Philadelphia, PA. Buy tickets here. 23 September 2017: Wang Theatre, Boston, MA. Buy tickets here. 24 September 2017: New Jersey Performing Arts Center, Newark, NJ. Buy tickets here. 27 September 2017: State Theatre, Cleveland, OH. Buy tickets here. 28 September 2017: The Fillmore, Detroit, MI. Buy tickets here. 29 September 2017: Heinz Hall, Pittsburgh, PA. Buy tickets here. 30 September 2017: Ohio Theatre, Columbus, OH. Buy tickets here. 1 October 2017: Indiana University Auditorium, Bloomington, IN. Buy tickets here. 4 October 2017: Yardley Hall, Overland Park, KS. Buy tickets here. 5 October 2017: McCain Auditorium, Manhattan, KS. Buy tickets here. 6 October 2017: Northrop Auditorium, Minneapolis, MN. Buy tickets here. 7 October 2017: The Riverside Theater, Milwaukee, WI. Buy tickets here. 8 October 2017: Taft Theatre, Cincinnati, OH. Buy tickets here. 1 November 2017: The Kravis Center, West Palm Beach, FL. Buy tickets here. 2 November 2017: Straz Center, Tampa, FL. Buy tickets here. 3 November 2017: Broward Center, Ft. Lauderdale, FL. Buy tickets here. 4 November 2017: Florida Theatre, Jacksonville, FL. Buy tickets here. 5 November 2017: King Center For Performing Arts, Melbourne, FL. Buy tickets here. 8 November 2017: Durham PAC, Durham, NC. Buy tickets here. 9 November 2017: Warner Theatre, Washington, DC. Buy tickets here. 10 November 2017: Altria Theatre, Richmond, VA. Buy tickets here. 11 November 2017: War Memorial Auditorium, Nashville, TN. Buy tickets here. 12 November 2017: Symphony Hall, Atlanta, GA. Buy tickets here. 15 November 2017: Louisville Palace, Louisville, KY. Buy tickets here. 16 November 2017: Peabody Opera House, St. Louis, MO. Buy tickets here. 17 November 2017: Orpheum Theatre, Omaha, NE. Buy tickets here. 18 November 2017: Bellco Theatre, Denver, CO. Buy tickets here. 19 November 2017: Eccles Theater, Salt Lake City, UT. Buy tickets here. Keep checking here for dates, venue and on-sale information.